Description: If your puppy is less than 1 year old they will thrive on this formula. 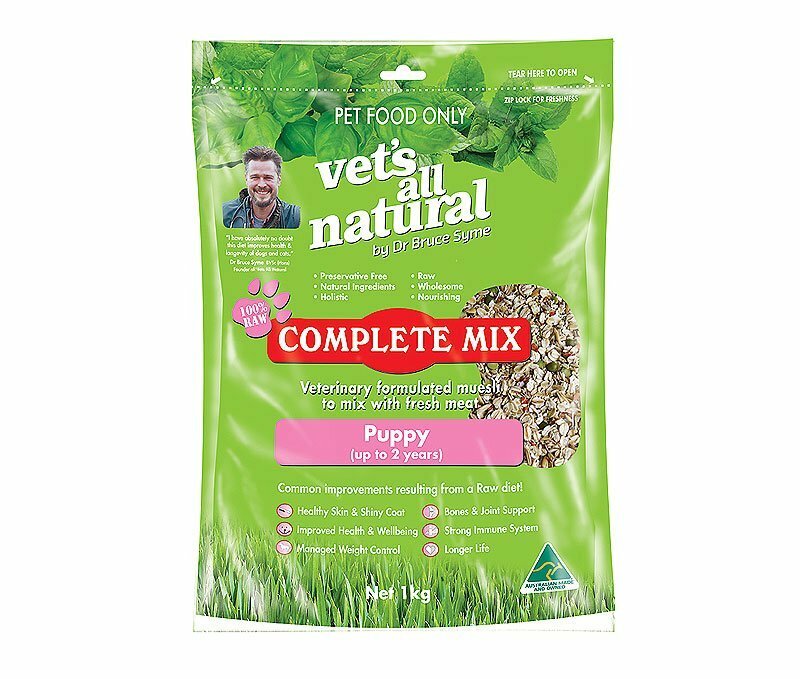 Puppies need more protein and more base nutrients and vitamins to sustain their rapid growth rate, so COMPLETE MIX PUPPY allows for more yeast, calcium, kelp, barley grass, lecithin and vitamin C. Ingredients: A combination of mixed cereal grains (rolled oats, cracked barley, soybean meal, flax seed meal, and whole oats) dried vegetables and fruit, dried garlic, dried parsley, dried barley grass, calcium powder, yeast powder, kelp granules, lecithin granules and Vit C powder. 3.2kg Beef Tasters Gently steamed to lock in freshness. A healthy treat or main meal.